Pryor Tzannes & Wallis Solicitors and Notaries provide excellent legal services and expert advice. It is an industry leader in commercial, property, insurance, litigation and employment law. Advocating a committed and innovative approach to its clients and staff alike, its core values are underpinned by principles based on quality, innovation, communication and integrity that has won recognition in the City of Sydney, the greater Sydney area and the Eastern coastal suburbs. Specialising in retail and commercial leasing for shops, restaurants, bars, offices, petrol stations and industrial sites across Australia. Website:	https://eleaselawyers.com.au/ Phone:	412366670 Email:	marianna@eleaselawyers.com Sydney NSW 2000 Australia. Pi Melbourne (https://pimelbourne.com.au/) was established in 2005 we are based at 585 Little Collins Street Melbourne. Since 2006 we have established a vast array of clients that spread worldwide, we like to treat our clients on an individual basis as each job is tailor made to their needs. No two jobs are a like and that’s why our staff are trained to listen and treat every job differently. We are expert criminal defence lawyers based in Fairfield, NSW. As our name suggests, we act in Criminal Matters and Traffic Matters only. We guarantee that a senior defence lawyer will defend your rights to the full extent of the law. First consultation is obligation free. Website: https://www. Liptak Lawyers are highly specialized and dedicated Personal Injury Lawyers helping victims of accidents recover compensation and lost earnings for many years. Liptak Lawyers Adelaide Address: 61 Carrington St Adelaide CBD SA 5000 Australia Tel : (08) 8366 6584 eMail : info@liptak-lawyer.com. Liptak are the most reliable divorce Lawyers Adelaide, so if you’re considering taking the path to a healthier future for you and your family, contact us for a guaranteed promise of success. A divorce can already be a stress-inducing process for many, so at Liptak, we aim to simplify the process and deliver results in minimal time. Terry Anderssen is a North Brisbane Lawyer based at Chermside. He has a wealth of experience and understanding of the law. Terry utilises his experience to benefit the client and provide clear and honest advice to the client on their individual matter. Family Law (Divorce, Separation, Child Custody, Property Division), Wills, Estates, Conveyancing and Business Law are the areas Terry practices in. At Effective Legal Solutions we pride ourselves on always giving you the legal advice you really need, delivered by expert lawyers. Whether your dispute has strategic, reputational or financial importance and whatever the subject matter, your success is our priority. We provide representation in all NSW and Federal Courts, as well as conciliation, mediation and arbitration. Pi Melbourne was established in 2005 we are based at 585 Little Collins Street Melbourne. Since 2006 we have established a vast array of clients that spread worldwide, we like to treat our clients on an individual basis as each job is tailor made to their needs. No two jobs are a like and that’s why our staff are trained to listen and treat every job differently. At Canaan Lawyers we focus on giving our clients a commercial advantage by providing high quality legal services in a practical and cost effective fashion. Our key strengths are: 1. Litigation and dispute resolution 2. Commercial and corporate advice 3. Property law 4. Criminal law 5. Wills and Probate 6. 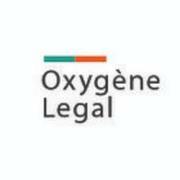 Oxygene Legal is Sydney based legal firm which provide legal services and legal advices for all criminal law, family, Intellectual property, start-up, employment law related issue . Oxygene Legal having expert of team who provide quality of services to client through using digital platform while saving time and money than traditional legal firm. Are you for the best recruitment agency in Sydney? Elink Aus is the best choice for you. Elink Aus creates an effective link between employers and recruiters. This recruitment platform has done effective recruitment services in Sydney. This recruitment platform tries to know the requirement of the organizations and done all possible effects in order to meet the right candidate for the right job. Are you searching for the best recruitment platform in Sydney? Are you suffering from hair loss problem? Are you want to get better suggestions from the best hair transplant surgeon? If you are suffering from hair loss problem and not able to find the best hair surgeon to get a helpful suggestion. There is no worry, Dr. Rakesh Sood of DrSoodClinic is the best hair transplant surgeon in Delhi. Call us now: (040) 557-9900 or Visit us at: https://pimelbourne.com.au/ Pi Melbourne was established in 2005 we are based at 585 Little Collins Street Melbourne. Since 2006 we have established a vast array of clients that spread worldwide, we like to treat our clients on an individual basis as each job is tailor made to their needs. Looking for HC truck driving job in Brisbane? Your search ends here at 1800DRIVERS, the best platform for truck drivers in Australia. Register on Drivers.com.au and get the best truck driving job. Also you can hire truck drivers as per your requirements. http://www.drivers.com.au/truck-driving-jobs/brisbane/. 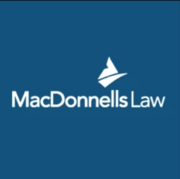 MacDonnells Law is one of Queensland’s largest and longest established independent law firms, with offices in Brisbane and Cairns. For more than 130 years, we have offered state-wide legal services to government, commercial, insurance and individual clients throughout Queensland. We operate on a State-wide basis, with our two offices providing the resources and support to ensure we can respond to all legal needs throughout regional Queensland regardless of their nature, size or duration. All companies want to expedite the recruitment process because the longer it takes to fill a position there is always the loss of profit and more importantly productivity which can prove very harmful to any organization. Enter elinkaus which is the perfect platform for companies and recruiting agencies to come together. 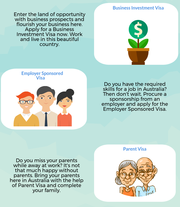 ElinkAus is one of the fastest growing recruitment agencies in Sydney, Australia. The company has resolved to offer recruitment solution to companies looking for candidates in various departments. ElinkAus offers cost arbitrage opportunity to recruitment agents and companies as there is just a direct fee for the agent to offer the resume services. Specialist Family Law Practice offering expert, strategic and cost effective advice to parties experiencing the devastation of separation. 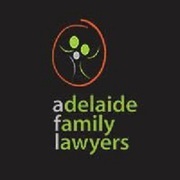 For a free initial consultation, please contact (07) 3211 4920..
At Adelaide Family Lawyers, our main motive is to provide affordable and high quality legal counselling services in the area of family law. Schedule a consultation with one of our solicitors at https://adelaidefamilylawyers.com.au/. Australian Family Lawyers have extensive experience in helping you and your family through separation and everything that follows. Our specialist fields also cover divorce, property settlement and children's matters. http://australianfamilylawyers.com.au/ Mezzanine Level, 411 Collins Street, Melbourne VIC 3000 Australia Email: info@australianfamilylawyers. Legal jobs, consulting jobs, hr jobs Australia ads Australia, Legal jobs, consulting jobs, hr jobs classifieds Australia, Legal jobs, consulting jobs, hr jobs free ads Australia, ads for sale Australia, ads to buy Australia, FREEADSAustralia. Find here ads for sale, to buy and rent in Australia. Goods for sale in Australia, vehicles for sale in Australia, Australia real estate for sale, Australia property for sale, property for rent in Australia, business ads in Australia, Australia business classifieds, services in Australia, Australia services ads, jobs in Australia, pets for sale in Australia, Australia dating, Australia cars for sale.